Long-time, no blog post – sorry! These past few days have definitely been trying. The charm of Summer wore off week before last but we were still truckin’ through. Then, last week, I was determined to drop everything (dinner, house cleaning, blog posts, etc.) and soak in whatever time we had left. Yesterday, Greyson started Kindergarten (did you see his pic on IG). He’s adorable, if I do say so myself. So, I’m in full steam rolling mode. I’ve got to keep myself busy otherwise, I think I would be a weepy mess. Ok, so I’m a bit of a weepy mess anyways, but it would definitely be worse if I wasn’t staying busy. So, back to today’s post. Yay for a post! 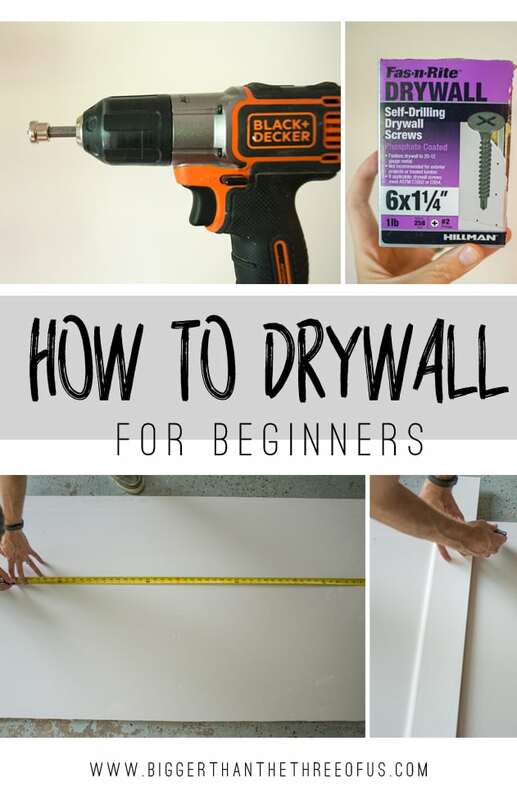 I’m here today to talk about How to Install Drywall and some tips and tricks along the way. This is going to be just the installation part and then, later on, I will come back with another post on mudding the seams and prepping for paint. Very inspiring, right? Ha. So, first things first with all projects – gather your supplies. 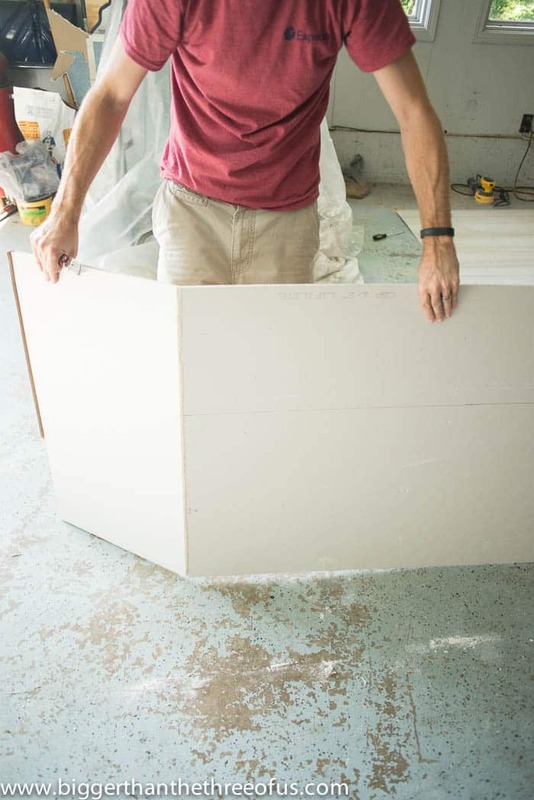 Measure your pre-existing drywall to check how thick it is so that you know what drywall thickness to buy to match. *This post contains some affiliate links. I only recommend things I use and love, but feel free to read my full disclosure. 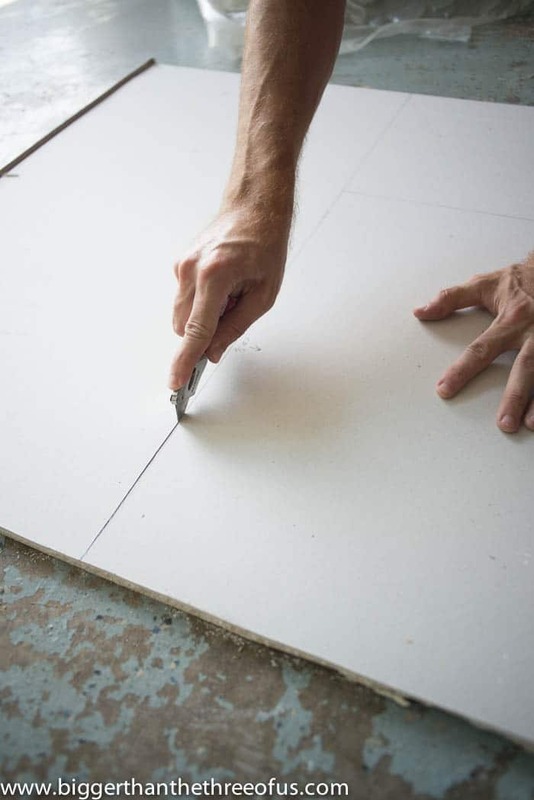 The first thing you need to do is measure the space that you need to place drywall in. It’s really important to measure the length and width but also measure the width at a few spots within the length. 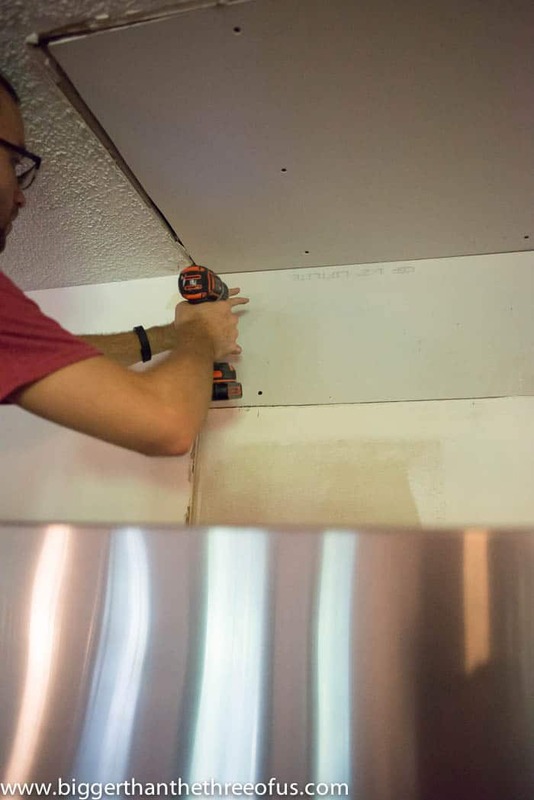 With any projects, nothing is usually perfect and that’s what we have found when measuring our drywall. Once you have your measurements, diagram it out so that you remember. 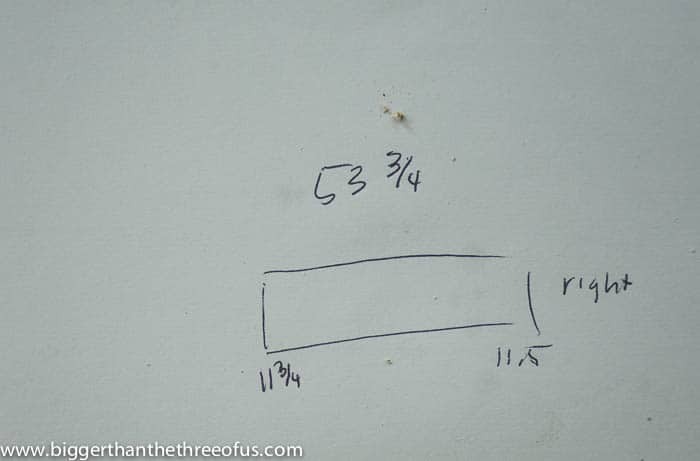 Place your drywall white side up and mark your measurements. 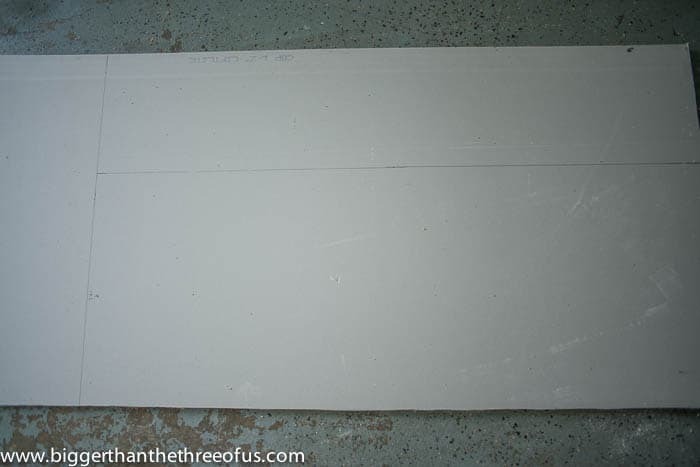 Use a straight edge (in our case a piece of baseboard trim) to draw your lines for your cut. 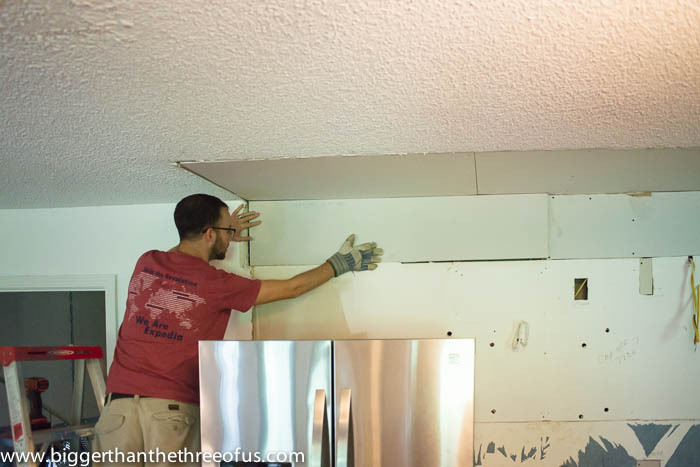 Using a utility knife, score your drywall. 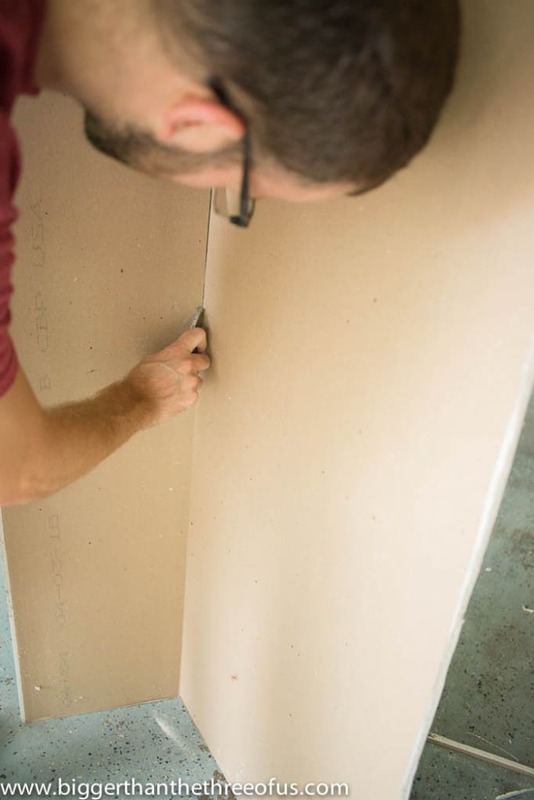 You don’t want to press completely through your drywall, but you want to press firm enough to score it evenly down your line. From the backside, give it a good knee bump and it will cut in half where you scored it. It usually doesn’t have a clean break, so at this time, we cut through the back paper to finish it off. Take it in and test it out in your spot. 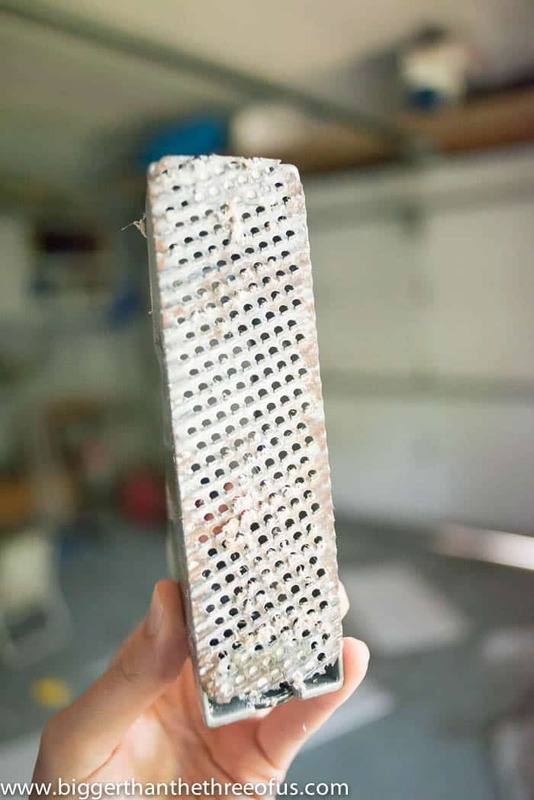 Many times, it is just a smidgen too wide and that’s when you want to use a drywall rasp. This will sand it down enough so that you can get it to fit within the space. Once it fits, use the drywall screws and dimpler bit to put the screws in to studs. The bit stopper will allow you to put the screws in at the perfect length, helping you protect the drywall from cracking (which happens when your screw goes in too far). 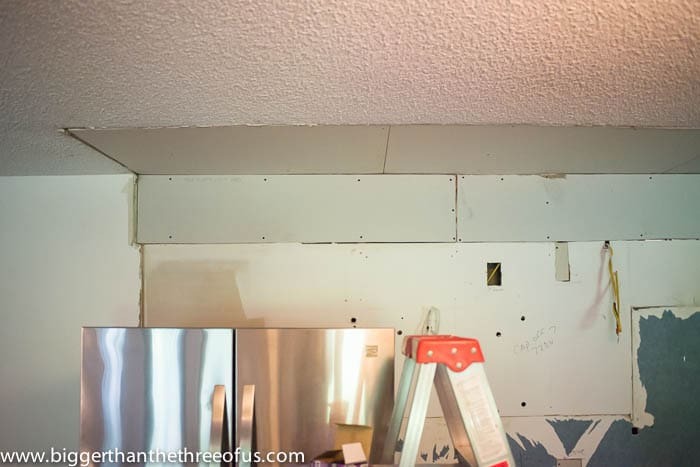 Finish placing drywall screws in on studs until you feel like you have it well. It helps prevent cracking if you start at one end and work your way down. Admire how good it looks. Just kidding! Actually, to be honest, this is a HUGE improvement from looking at bare studs so, if you made it this far, then consider it a success. On another note, this project is far from done and with drywall there are other instances where you have to add studs or use patches. That will be it’s own post later this month. How about a high five for the weekend? I hope you all have something fabulous planned. *Edited to add: We finished the drywall and posted a tutorial for finishing drywall.